Pro Lite Garda: Wider rim wheelsets for everyday use. Improve your bike’s stock wheels with this Pro Lite Garda wheelset to enjoy better braking power, speed and reactivity. These wheels are on the weighty side, but they can pick up speed like no other. Read more in the review below. The Garda range of wheels is Pro-Lite’s answer to the new wider rim market. These wheels are tested to be comfy and also lower your rolling resistance. These wheels are generally understood to be a wonderful upgrade from the stock wheels on most bikes. Pro Lite Garda wheels are by no means light, but if you are not racing, this shouldn’t be a problem. If you are on the market for a well-built and reliable wheelset, Pro Lite Garda will fulfill your needs nicely. Pro Lite Garda wheels are very tightly built to decrease resistance so your bike can pick up speed the moment you start pedaling. These wheels are more reactive in that sense than counterparts of the same price value. Initially, these wheels tend to be a bit creaky (you may hear ping sounds from the spokes), but once the wheels are broken in, they work noiselessly. These wheels ride wonderfully on both flat and hilly terrain. The rim surface is built quite well so braking is consistent, and more importantly, quick. The stopping power is quite impressive for brakes of this caliber. Brakes work well in both dry and wet surfaces. But do be careful on very wet roads. The wheelset can be equipped with 9 to 11 speed cassettes. A body spacer and quick release skewers are provided with the purchase. You can equip the wheels with a routine tire change. Overall, these wheels are reliable and work well. Do not expect anything dramatic. 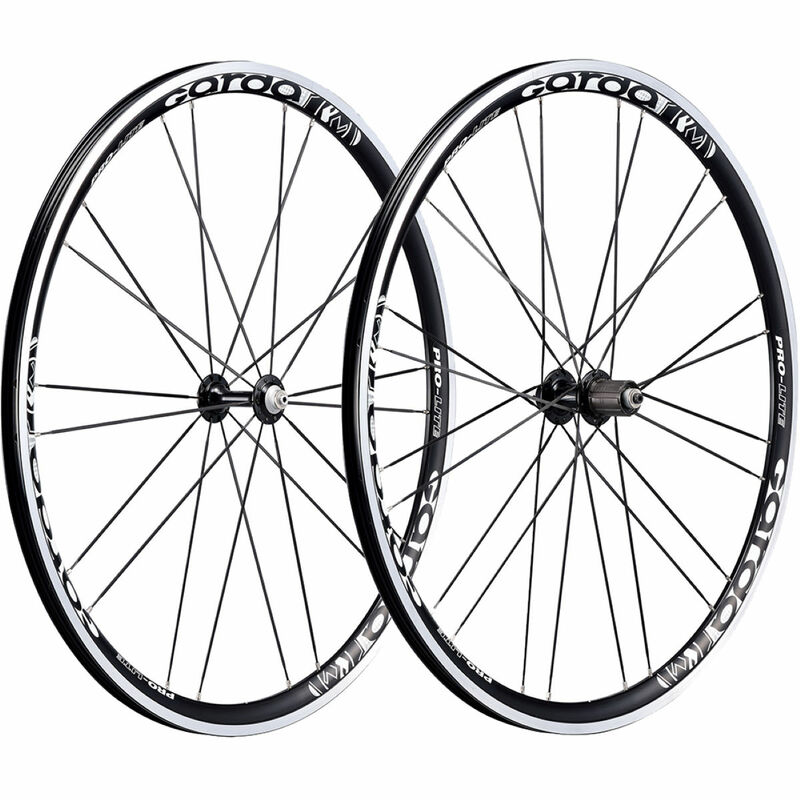 Otherwise, if you want a solid wheelset, Pro Lite Garda will be just the thing you need. Pro Lite Garda is an affordable and durable wheelset that will do your bike really well. These wheels have excellent braking power and are comfortable to ride. This is a decent performer well worth the price.